LEESON STREET NOW OPEN ON SATURDAYS!!! Folks, from this Saturday on, our specialty coffee shop on Leeson Street in Dublin 2 will open from 10am to 4pm. This means that our Montague Street shop will be closed on Saturdays from now on. It will operate, of course, as normal during the week. So, if you need specialty coffee from The Barn or one of our great Alchemy smoothies this Saturday, you know where to go! We also have the best pastries to go with your flat white, a range of killer sandwiches and the best salads in town! And, of course, some Alchemy juices to quench your Saturday morning thirst . . .
We are running a special MARCH MOMENTS coffee competition on our Instagram account for the month of March. 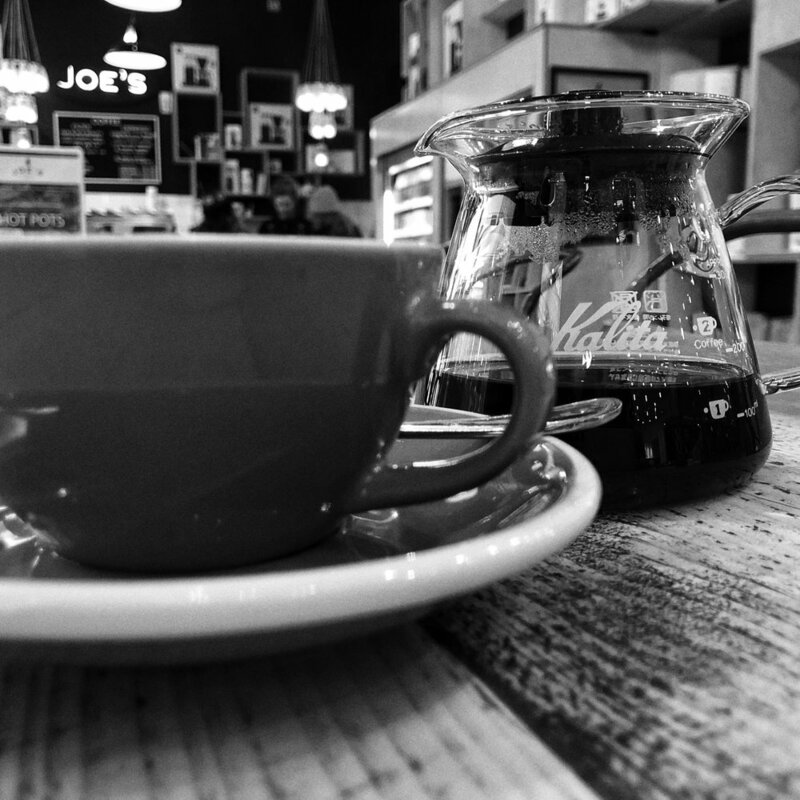 Just take a cool photo of a coffee you got in Joe's and then post it to Instagram, tagging joesdublin. At the end of the month, we'll choose the best one and that person will win a supercool coffee prize: an AeroPress, filters, a bag of beans from The Barn and a bar of gorgeous Hazel Mountain Chocolate! Usual Ts & Cs apply. You can enter up to three times! Here are some examples . . .
Take a shot and good luck! 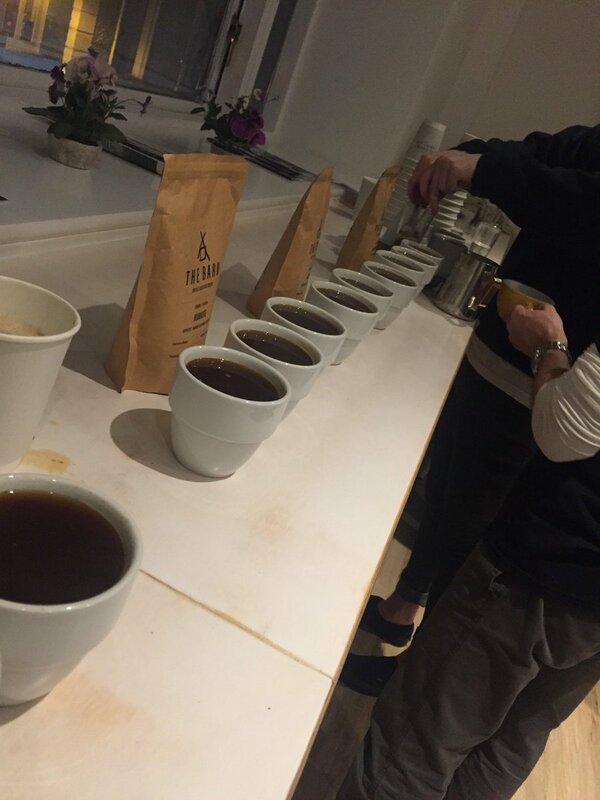 We had a great cupping this week of new beans in from The Barn in Berlin, our main specialty coffee supplier. 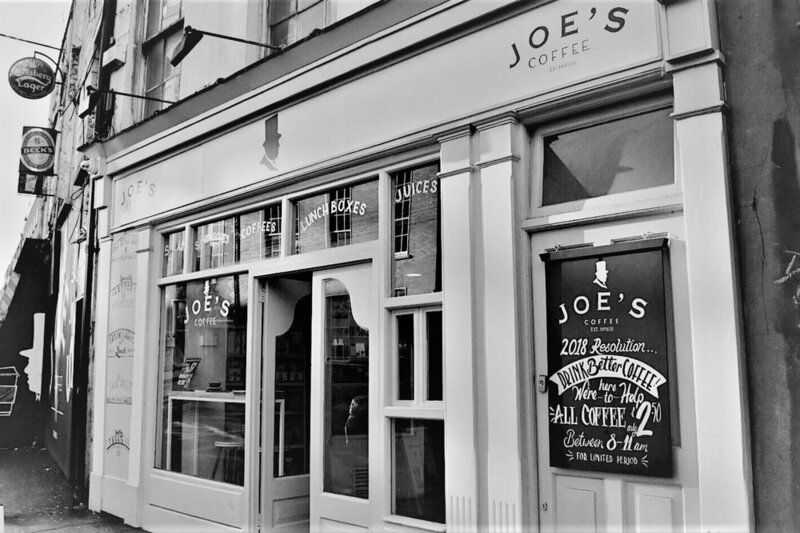 It took place among staff from the four Joe’s coffee shops in Arnotts in Dublin 1, from Dundrum Town Centre and from our Montague Street and Leeson Street shops in Dublin 2. 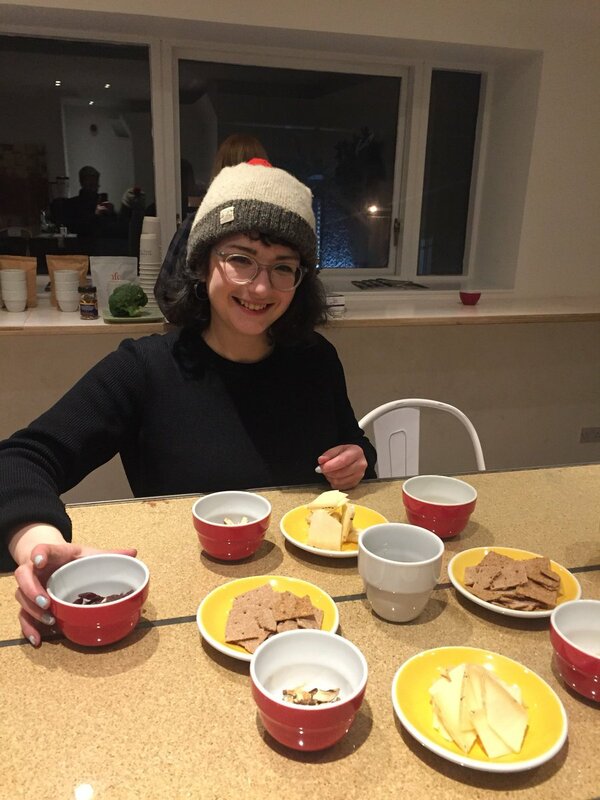 Really gorgeous tasting notes from the cupping session!!! BANH MI: charred chicken, pickled vegetables, coriander, mint, tahini, chilli and lime dressing. VEGAN BANH MI: roast portobello mushrooms, pickled vegetables, coriander, mint, tahini, chilli and lime dressing. Fresh, tasty and healthy! Our new range of salads developed by Domini Kemp and her chefs are now available in our specialty coffee shops in Arnotts (Liffey Street, Dublin 1) and on Leeson Street (just off Stephen’s Green in Dublin 2) and on Montague Street (between Harcourt Street and Camden Street, also Dublin 2). VEGAN JAPANESE MISO BOWL: Aubergines, spinach, ginger, toasted sesame seeds, edamame beans, red rice, kohlrabi, carrot and crispy onions in an Asian dressing. CHILLI BEEF NOODLE SALAD: Irish beef with glass noodles thread, Asian vegetable mix, Portobello mushrooms, cashew nuts, mangetout, spinach, spring onions, mint, coriander, crispy onions and sesame seeds in a tahini dressing. KOREAN CHICKEN SALAD: Irish chicken with spinach, pickled cucumbers, mango, carrots, spring onion and crispy onions in an Asian dressing. SALMON MISO BOWL: Irish salmon with aubergines, spinach, ginger, toasted sesame seeds, edamame beans, red rice, kohlrabi, carrots and crispy onions in an Asian dressing. 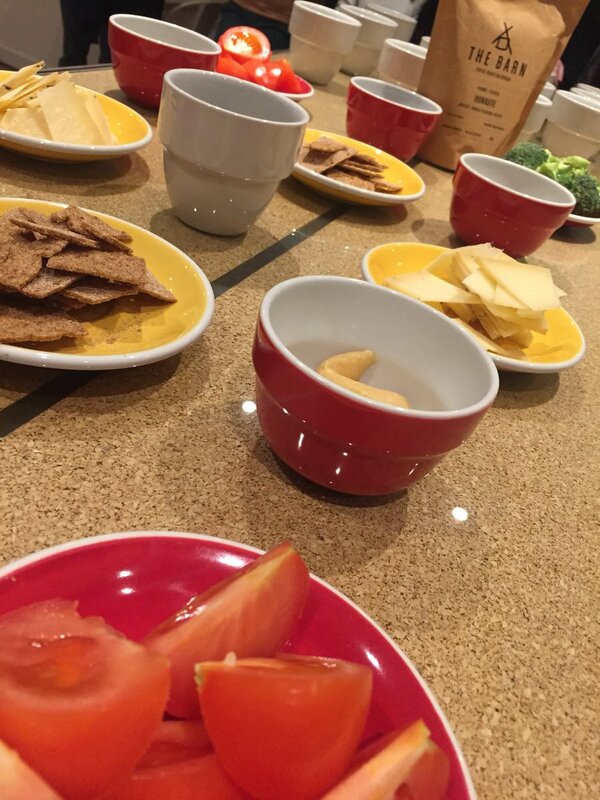 We think they’re pretty special and Domini is especially proud of the dressings which are out of this world. 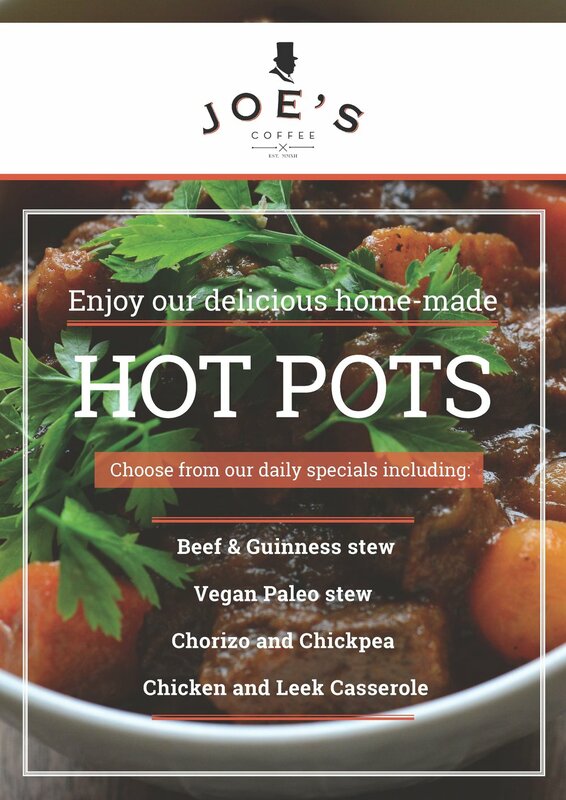 Our coffee shop on the main square in Dundrum Town Centre in Dundrum, Dublin 14 has great specialty coffee but we have also put a lot of effort into our food offering there as it’s the perfect spot for grabbing something to eat. 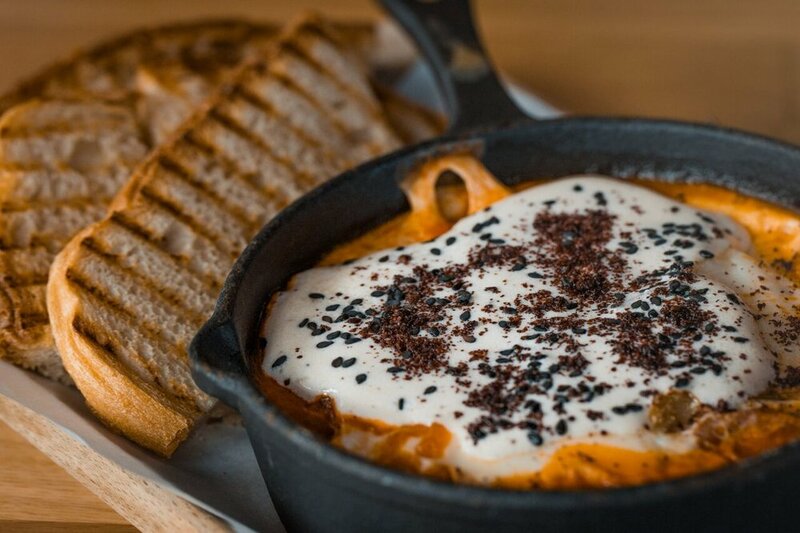 Domini, Peaches and the chefs got to work and came up with a special, dedicated menu, bringing distinctive new breakfast, brunch and lunch dishes which are exclusive to Dundrum. 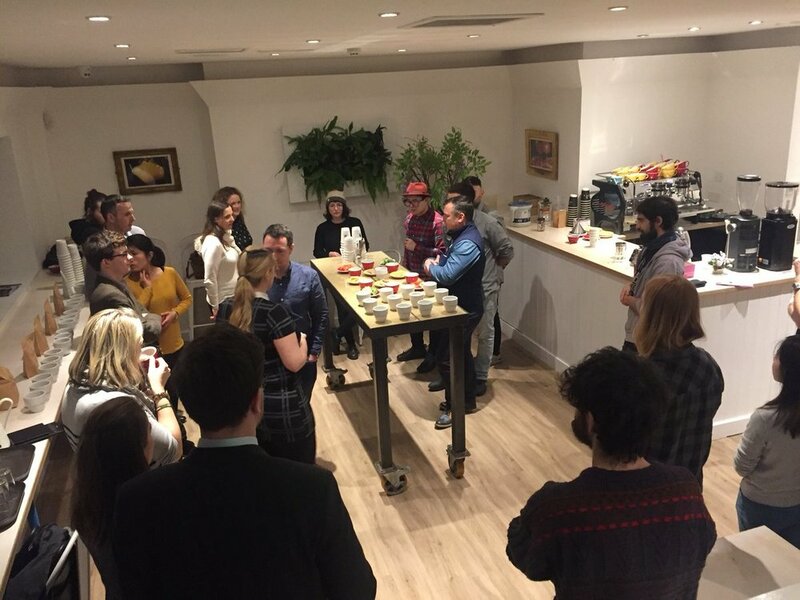 We are delighted to welcome back La Cabra as our new guest roaster. Their specialty coffee beans are always so popular with our customers as, of course, is their packaging. We have their full range in stores at the moment. 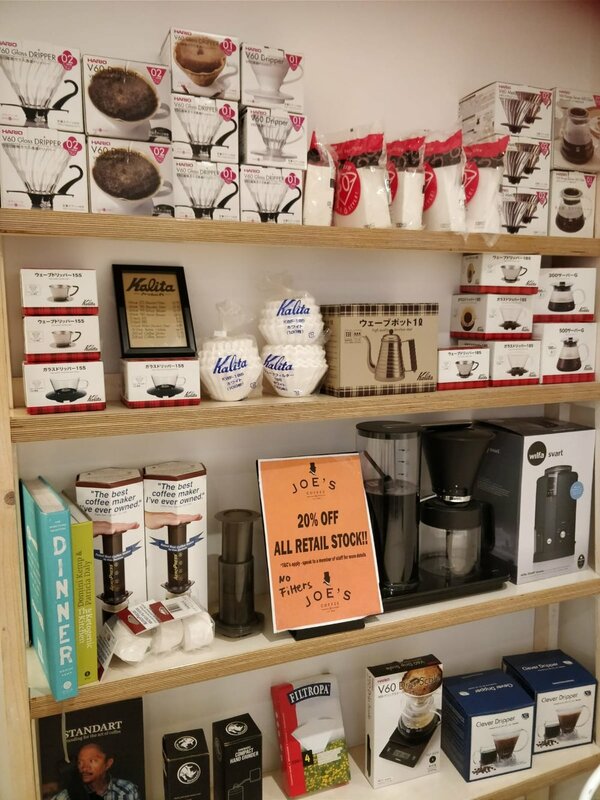 Folks, we are delighted to announce the first of our kit and bean sales taking place in our Montague Street shop on Saturday, April 14th from 10am to 3pm. We have some amazing gear in stock at the moment and we will be offering up to 30% off all retail items at the sale. 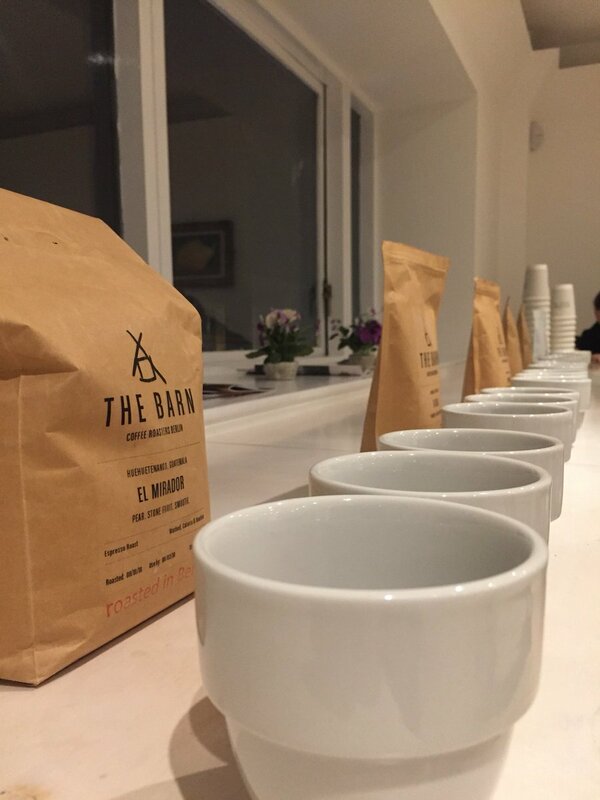 Bags of coffee beans from The Barn will also be available to buy at a special discounted rate on the day. 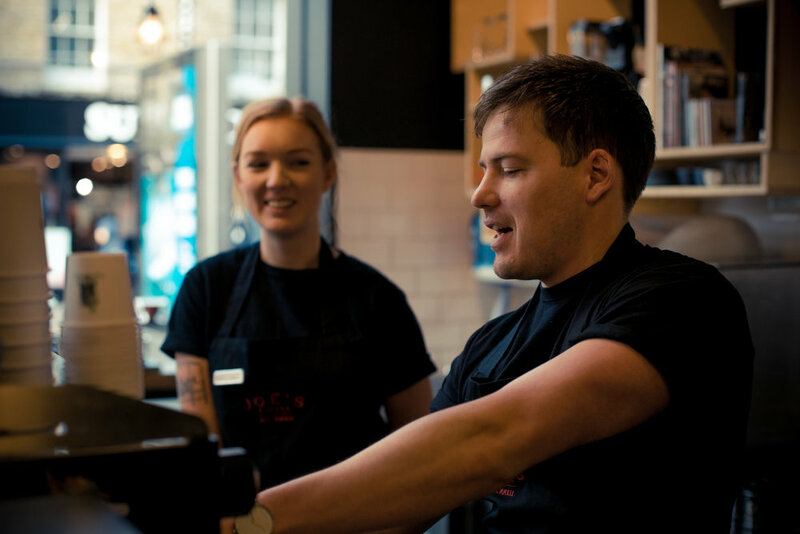 Our staff will be on hand to talk you through the different brewers, grinders and other kit so we can help you to find the best one for your homebrewing needs. We will also do demos of how to use the gear most effectively so you can see them in action before making a purchase. 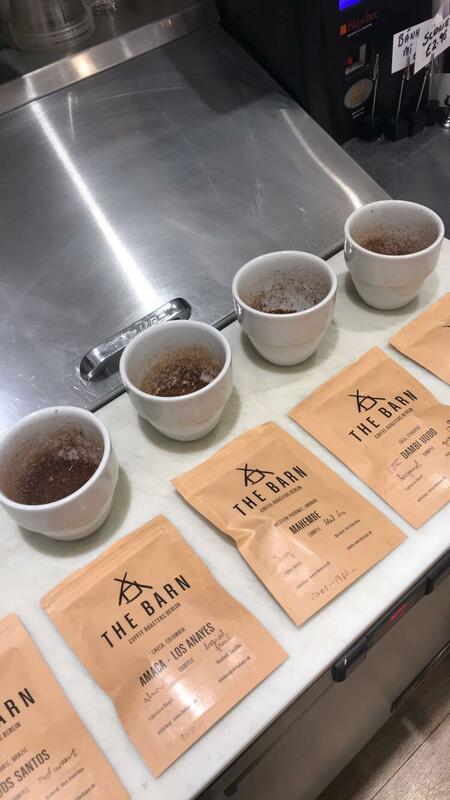 And we will be doing a cupping every hour throughout the day so you can taste the different specialty coffees we have and see which one you like the best. This will be a day all about specialty coffee, homebrewing and getting some pretty tasty coffee deals. No booking required! Just drop in any time between 10am and 3pm. Our new flagship specialty coffee located in the Harvey Nichols shop on the main square in Dundrum Town Centre in Dublin 14 now does a range of special ALL-DAY BREAKFAST & BRUNCH dishes which we think you’ll like. They’re perfect if you need a break from the shopping . . .
As you know, we opened a new cafe on the main square in Dundrum Town Centre in Dundrum, Dublin 14 before Christmas. 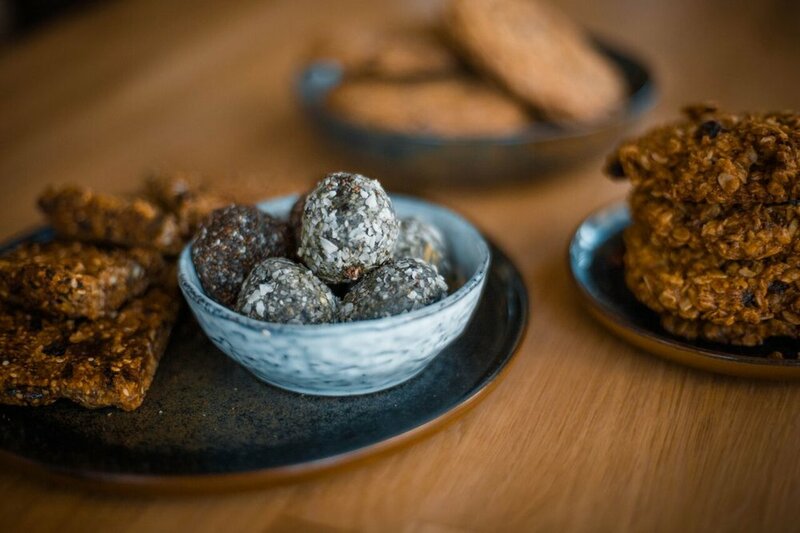 We have always focused on serving the best specialty coffee – with beans from The Barn Berlin (www.thebarn.de) as well as from other renowned roasters from around the world – but we now wanted to add to our food offering. 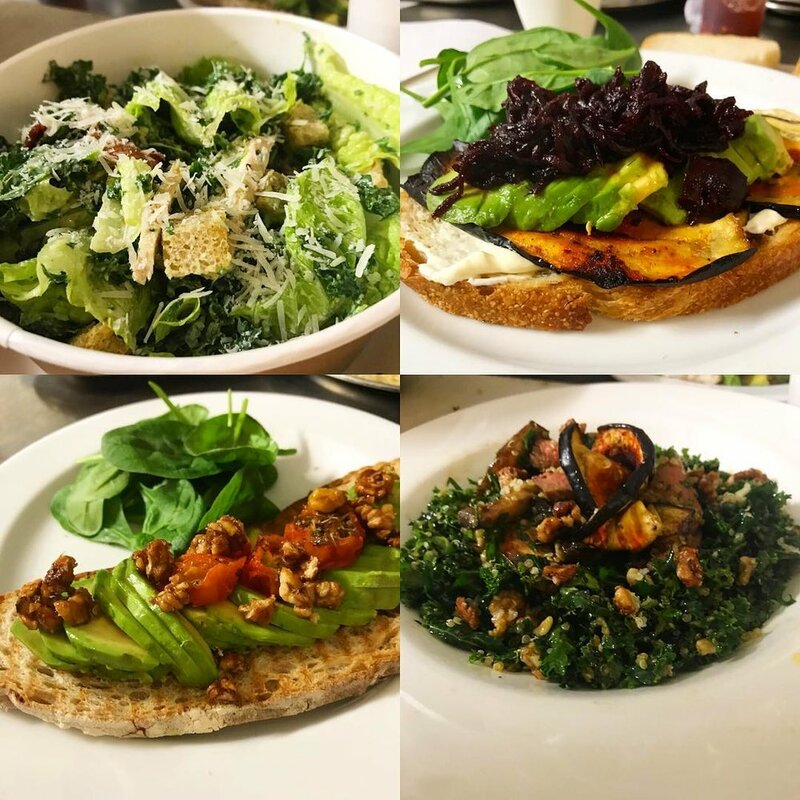 All our cafes already serve killer sandwiches and super salads, including from Alchemy Juice Co (www.alchemyjuice.ie), but we wanted to add a bit more to the Harvey Nichols store. So Domini and the chefs got to work and came up with a special, dedicated menu which we hope you’ll like. All sandwiches are served with a side of spiced cucumber pickle, classic potato salad, slaw or Asian kale. We also do various ALL-DAY BREKKIE specials which we’ll post about over next couple of days. 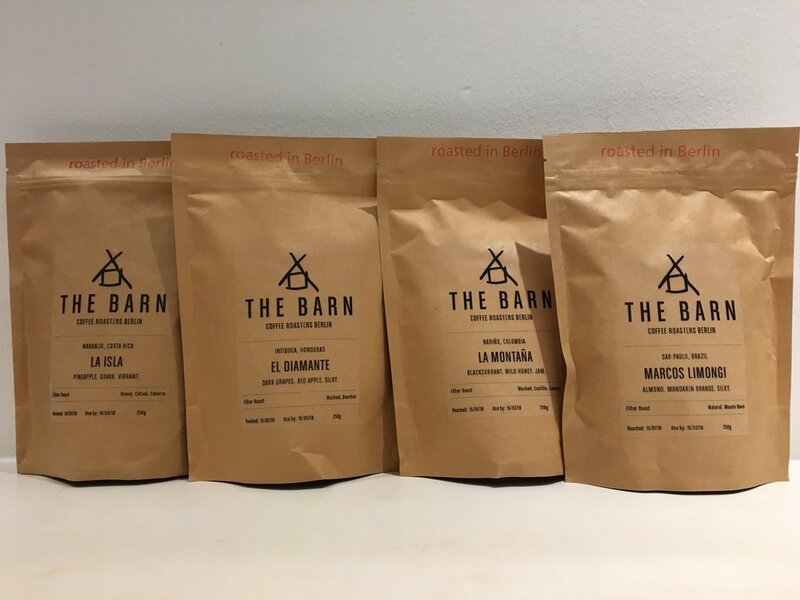 We are delighted to have a range of new specialty coffee beans just arrived in from The Barn Berlin, our partner roaster. These are really special . . . as always. 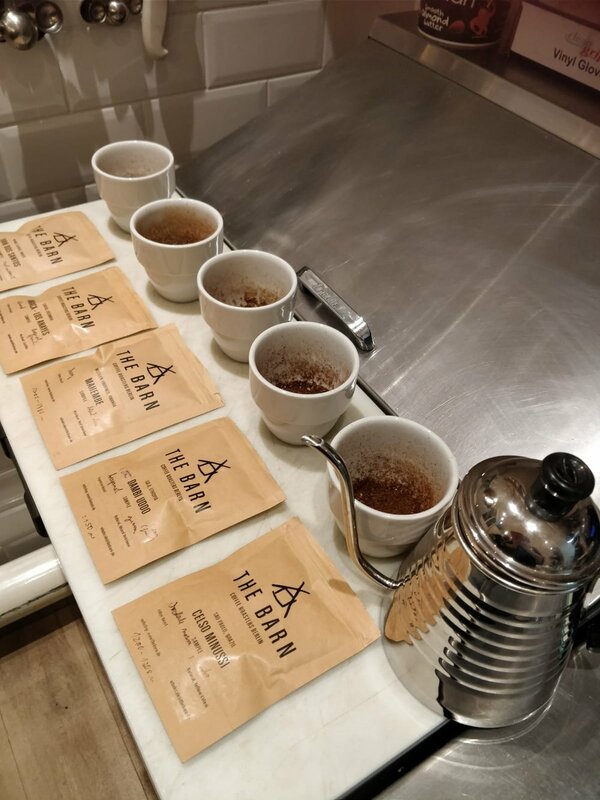 You’ll find them in our specialty coffee shops on Liffey Street in Arnotts in Dublin 1, in Dundrum Town Centre and in Kildare Village Retail Outlet as well as in our two shops on Montague Street and Leeson Street in Dublin 2. Marcos Limongi out of Brazil: Almond. Mandarin orange. Silky. El Diamante out of Honduras: Dark grapes. Red apple. Silky. La Isla out of Costa Rica: Pineapple. Guava. Vibrant. Mahembe out of Rwanda: Sweet cherry. Chocolate. Black tea. We think you may love them. 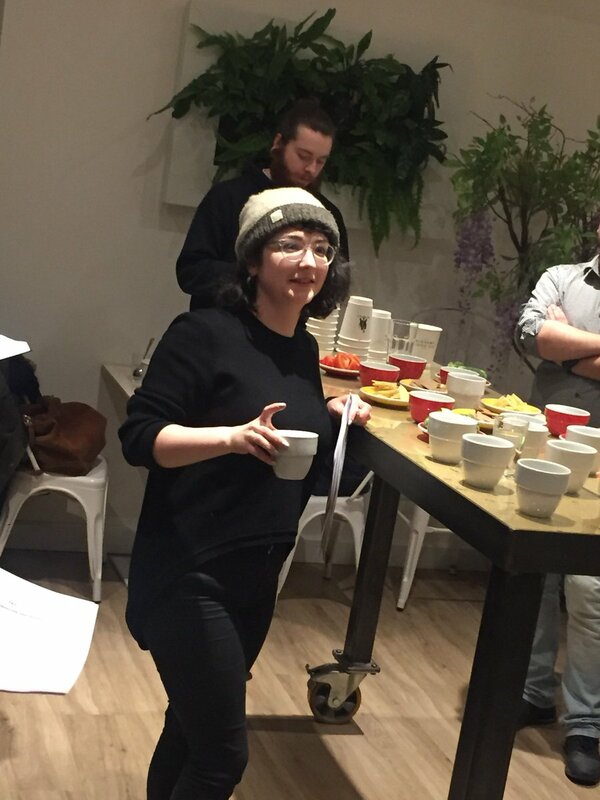 Here are a selection of photos from our Umami Workshop with Susie Kealy of The Barn Berlin which took place in our specialty coffee shop on Montague Street in Dublin on January 23rd, 2018. It was a great night with a fab crowd. 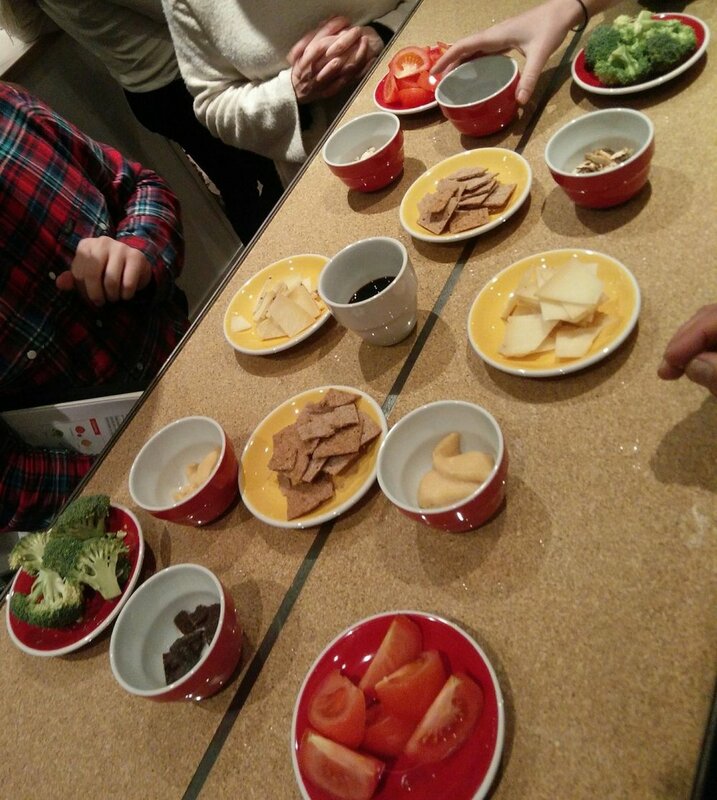 We had lots of fun but we also learnt a lot about coffee beans, grinding, cupping and the different flavours our mouths can detect, from sweet and sour to salty and bitter and, of course, umami. Huge thanks to Susie for being such an informative host for the evening!